Don’t be intimidated by contracts. Conquer them instead. Handled correctly, your business’s contracts can be a great asset in protecting you in your dealings with vendors, customers and employees. Here are some of the basics. Certain transactions, such as the sale of real property or agreements with a term of more than one year, are required by law to be put in writing. However, it is still recommended that every important agreement your business enters into be in writing. Having written agreements helps ensure that both parties are on the same page about all of the terms of the agreement—even the terms that the parties don’t really want to talk about during the “honeymoon period” of the transaction, such as termination and how to handle future disputes. Contracts also provide evidence of the parties’ intentions and help to resolve later confusion or disagreements. 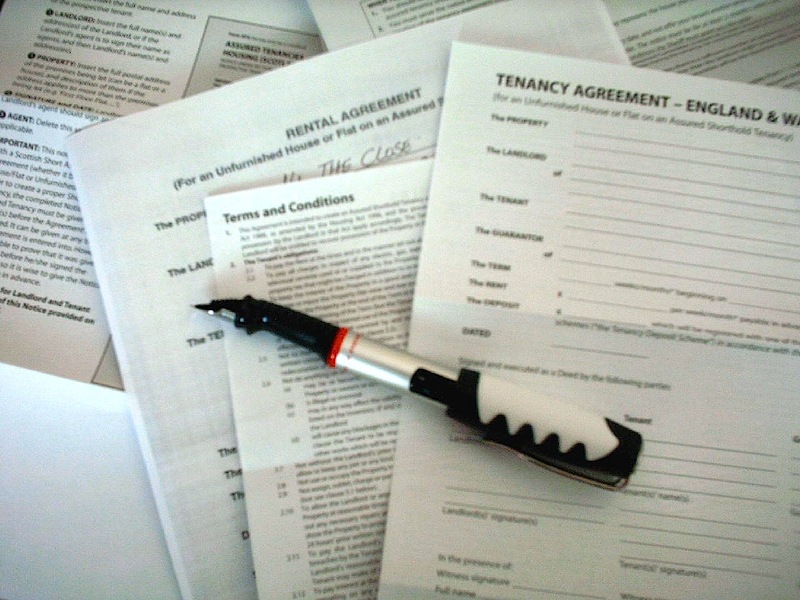 Some of the more common contracts that small businesses may need at some point include: partnership and stockholder agreements, leases, franchise agreements, service and/or sales agreements (with both clients and vendors), employment agreements (and later, unfortunately, employee termination agreements) and independent contractor agreements. Of course, that is not an exhaustive list, and not every business will need all of those. In order for a contract to be enforceable, there are certain elements that are required: an offer must be made and accepted, consideration must be given (each party must convey something of value to the other) and a “meeting of the minds” must be achieved—meaning that both parties agree to all of the terms of the transaction. Further, the contract cannot be: unconscionable, against public policy as defined by law, entered into under duress, premised upon fraud or entered into by someone lacking legal capacity. Clear writing in plain language is almost always best. Ambiguity invites disputes. If there is a detail that matters, it should be included. Unaddressed terms invite as many disputes as ambiguity—maybe more. If the terms you offer are fair, the other party is usually more likely to accept your version of the agreement. It is important that all blanks be filled in, all exhibits and schedules be attached, and all parties be correctly identified by their proper legal names. (Make sure it is your corporation or LLC’s name that is listed, not yours, to protect yourself from personal liability.) The document must be fully executed—every signature obtained, every place that requires initials initialed and notarized if required. It is important that the exact details of payment be spelled out. Who is responsible for paying how much? When? What happens if the payment is late? Is there any legitimate reason to withhold payment? Of equal importance is spelling out the dates for delivery of goods or performance of services. When is performance/delivery required to be completed? What does that mean exactly? What happens if it is not completed on time? The circumstances under which either party can terminate the agreement—and what happens upon termination—should be included in the contract. Contracts often contain provisions concerning remedies for breach—in other words, the recourse that is available to a party if the other party fails to perform its obligations. The remedies should be appropriate to the situation. You should make sure that before someone can take action against you due to an alleged breach, the contract requires them to first provide you with written notice of the breach and a reasonable opportunity to “cure” (i.e. fix the problem). Indemnification clauses are agreements by one party (or both) to hold the other harmless from claims by third parties under certain circumstances. These can have major consequences in the event of an expensive lawsuit brought by a third party. This important clause specifies which court(s) will have jurisdiction to hear a dispute between the parties. If, for example, one party is in Boston while the other is in Chicago, which court has jurisdiction will be very important. If a corporation or limited liability company is a party to a contract, it is generally just that business entity (and not its principals) that is responsible for payment or performance under the contract. So, often lenders or other sophisticated parties will ask one or more principals to sign a personal guarantee, which means that person is personally on the hook. This often comes up in situations where a company does not have many assets. Most important is that what the contract says matches the complete understanding of the deal that is in your head after you have fully thought everything through and sought out professional advice when appropriate. What role should your attorney play with respect to contracts? I often tell people that my job is to be your inner-pessimist. I spend a lot of time thinking about what can go wrong, how someone might try to cheat you and what can be done to protect you against all of that. That doesn’t make me much fun at parties, but it’s the right approach for a lawyer to bring to drafting or reviewing contracts. In reviewing contracts prepared by someone else, one of the most important roles of your attorney will be to tell you what is not in the contract, which can sometimes be even more important than what is in there. Take advantage of opportunities to have your attorney prepare the contract. You will almost always wind up with a final product that is more favorable to you, and while this may be anti-intuitive, it usually costs about the same (or sometimes less) for your attorney to draft a contract, rather than to review, revise and discuss several times a contract that someone else has written. If your business repeatedly engages in similar transactions, your attorney may be able to develop fill-in-the-blank form contracts for you to use on each occasion. For example, you may have a standard sales contract where all of the “legal fine print” stays the same but where you can fill in the particulars of the deal that change such as price, dates of delivery, and specific deliverables. Or you might have a contract that is used for all of your employees where most of the terms are uniform, except for job descriptions and salaries that you fill in. Entering into a bad contract can be costly. By investing a little bit of money for a few hours of an attorney’s time, you can save yourself a lot more in the long-run. Joshua Korman is an attorney who focuses on business law and estate planning. Information about his law practice and other articles by him are available on his law firm’s website: www.brodykorman.com.